Alicia Fedelina Chávez is Associate Professor in Educational Leadership and Policy at the University of New Mexico. She served as collegiate leader, student affairs professional, and faculty member in universities around the country. Her scholarship is centered in facilitating understanding and balance between cultural epistemologies and ways of being in professional practice. She works from a belief that higher education institutions and societies benefit from garnering the strengths of many peoples, cultures, and nations. 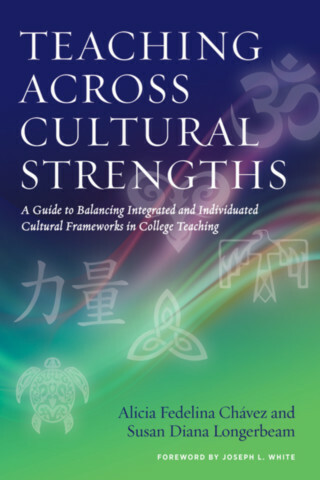 Dr. Chávez is published in areas of culture and college teaching as well as identity and collegiate leadership. Her publications include a co-authored book on culture and college teaching, Web Based Teaching across Culture and Age (Springer, 2013), as well as two co-edited books on identity and leadership in higher education, Identity & Leadership: Informing our Lives, Informing our Practice (NASPA, 2013) and, Indigenous Leadership in Higher Education (Routledge, in press). Her academic journal articles include: Clan, Sage, and Sky: Indigenous, Hispano and Mestizo Narratives of Learning in New Mexico Context; Toward a Multicultural Ecology of Teaching and Learning; and Learning to Value the “Other”: A Model of Diversity Development.